The use of body-worn technology such as pedometers to measure physical activity levels has becoming increasingly more popular in the last few years. Brands such as FitBit, Withings, Yamax, Omron, Misfit & Striive are among some of the most popular and top-rated pedometers. Before we dive into the nitty gritty of whether or not pedometers actually contribute to increased physical activity levels, let’s start with the basics. 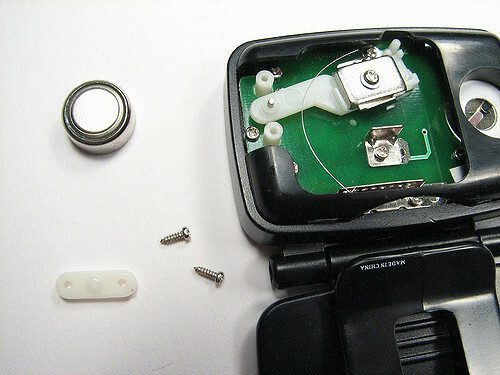 Pedometers possess a horizontal, spring-suspended lever arm that moves up and down as a result of vertical accelerations at the hip. A step will be counted when the vertical acceleration surpasses the force sensitivity threshold of the pedometer designed by the manufacturer. The force sensitivity threshold is an important feature of a pedometer because it will omit any “non steps” that may occur from light movement when in a car or on a train or subway, for instance. That being said, it is important to note that there is a certain trade-off due to the design of the force sensitivity threshold, where low acceleration steps (i.e. advancing in a line) may not be accounted¹. However, regular walking speeds or brisk walking are walking speeds commonly encouraged by health professionals and those commonly adopted by patients. Therefore, the omission of these low acceleration steps are not a significant loss. It goes without saying that pedometers will not track physical activity levels for activities such as swimming, cycling or weight lifting, among others. Why Have Pedometers Become So Popular? The answer is simple: a pedometer provides a simple estimate of physical activity level using the number of steps taken throughout the day. The majority of pedometers are user friendly and their incorporation into fashionable accessories such as watches has made them both more practical (i.e. having a watch that can count your steps is more practical than attaching a simple step counter to your body) and stylish. In addition, walking is both the most commonly encouraged activity and it is also the activity most commonly reported as a leisurely activity¹. Do Pedometers Actually Increase Physically Active Levels? Based on the scientific literature, pedometers are a feasible and cost-effective method to increase physical activity levels in people of all ages. One systematic review published in 2009 examined the effectiveness of pedometers in promoting physical activity among youth². Of the 14 studies included in this review, 12 studies demonstrated significant increases in physical activity. It must be noted that there were differences in the magnitude of the effect, likely due to differences in study participants, outcome measurement methods and study duration. It has been suggested that pedometer step feedback alone may not be enough to successfully increase physical activity levels in youth. To increase adherence, proper goal setting and self-monitoring (i.e. recording daily step counts) are crucial. It is important to note that less active adolescents typically respond better to goal setting and self-monitoring, whereas little to no change has been observed in youth who are already sufficiently active². However, in children, increases in physical activity levels was observed in all participants. Seeing as the study durations for this review varied between 1 week and 6 months, further research still needs to evaluate long-term effectiveness of pedometers for increasing physical activity, as well as participant adherence after the intervention has been completed to examine whether or not the behavior has been maintained. In addition, there are few studies with similar study samples, providing limited comparability. Therefore, further research should focus on increasing the volume of research with similar study designs in this field. The results of a systematic review published in 2007 suggest that the use of a pedometer is associated with significant increases in physical activity, as well as significant decreases in body mass index (BMI) and blood pressure³. This systematic review included 26 studies with a total of 2627 participants (8 randomized controlled trials, 18 observational studies). The mean age of the participants was 49 years of age (+- 9 years) and 85% were women. The mean intervention duration was 18 weeks. Overall, participants increased their physical activity by 26.9% over baseline with the use of pedometers. The intervention group demonstrated an increase in steps per day between 2183 and 2491 steps more than the control group, depending on study design. Once again, goal setting was determined to be an important predictor of physical activity increase. Participants in the intervention group also demonstrated significant descreases in BMI by approximately 0.38 kg/m² and significant deceases in systolic blood pressure by approximately 3.8 mmHg. It is important to note that whether or not these changes were maintained over the long term is unknown. Therefore, further research should examine physical activity level adherence and maintenance post intervention. What Factors Are Related To Pedometers Successfully Increasing Physical Levels¹? Pedometer characteristics: ease of use, affordable, readily accessible, provides immediate feedback, immediately increases awareness of physical activity levels, simple estimate of physical activity levels by providing number of steps taken, etc. Program characteristics: program must implement self-monitoring, personalized feedback and incremental goal setting, importance of goal setting, program structure must be flexible, need to record or submit daily values (provides sense of accountability), etc. The use of pedometers reflect individual behaviors, incorporating aspects such as self-monitoring, personalized feedback and self-selected goal setting. That being said, it has been demonstrated that programs encouraging increased physical activity with no specific goal have shown no significant improvements in steps/day compared with those with incremental increases of approximately 2000 steps per day in programs promoting the use of the 10 000 steps per day goal or other goals¹. How Many Steps Is Enough? For adults: the research has identified being sedentary as having completed less than 5000 steps per day⁴. Healthy adults take anywhere between 4000 and 18 000 steps per day. Therefore, 10 000 steps per day is a reasonable goal for the healthy adult population as per the normative data in the research literature. That being said, this goal may not initially be reasonable for the less physically active individual. Goal-setting that is tailored to an individual is best in this case⁵. For children and adolescents: For children, boys should average between 12 000 to 16 000 steps/day and girls should average between 10 000 and 13 000 steps/day. For adolescents average steps per day is expected to decrease gradually until approximately 8,000-9,000 steps per day at 18 years of age⁶. For older adults and special populations: Typically older adults take on average between 2000 and 9000 steps given the high variability of physical capacity and functioning in this population. Therefore, research suggests an average daily step goal between 7100 and 8000 steps per day. For special populations (i.e. those living with disability and/or chronic illness that may limit mobility and/or physical endurance), the average has been observed to be between 1200 and 8800 steps per day. Therefore, research suggests an average daily step goal between 4600 and 5500 steps per day⁷. If you have any questions or concerns regarding how you can become more active, please consult your doctor or physiotherapist. If you have any questions or concerns regarding the content of this blog post, you may contact me directly infophysiotherapy10@gmail.com. Did you enjoy the content of this post? If so, please share this post and comment below. Your feedback is greatly appreciated. Don’t forget to follow my blog for more updates! DISCLAIMER: This blog is not meant for diagnostic or treatment purposes. It should not substitute for professional diagnosis and treatment. This blog was not created to provide physiotherapy consultations, nor was it created to obtain new clients. I am adamant on patient education and it is an absolute privilege to share my knowledge. The content of this blog is a resource for information only. This blog was created to inform the general population about different musculoskeletal, neurological and cardiorespiratory conditions in a variety of patient populations. For any further questions or concerns regarding how you can become more active, please consult your doctor or physiotherapist. 1. Tudor-Locke, C. & Lutes, L. (2009). Why Do Pedometers Work? A Reflection upon the Factors Related to Successfully Increasing Physical Activity. Sports Med, 39(1), 981-993. 2. Lubans, D.R., Morgan, P.J., Tudor-Locke, C. (2009). A systematic review of studies using pedometers to promote physical activity among youth. Preventative Medicine, 48(4), 307-315. 3. Bravata, D. M., Smith-Spangler, C., Sundaram, V., Gienger, A. L., Lin, N., Lewis, R., Stave, C. D., Olkin, I., & Sirard, J. R. (2007). 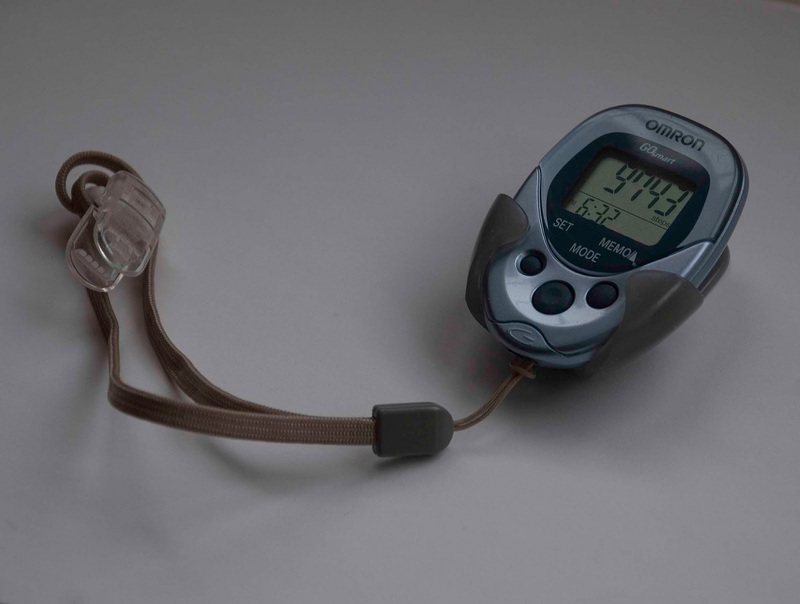 Using Pedometers to Increase Physical Activity and Improve Health. Journal of the American Medical Association, 298(19), 2296-2304. 4. Tudor-Locke, C., Craig, C.L., Thyfault, J.P., & Spence, J. C. (2012). A step-defined sedentary lifestyle index: <5000 steps/day. App Phys Nutr Met. 38(2), 100-114. 5. Tudor-Locke, C., Craig, C. L., Brown, W, J., Clemes, S. A., De Cocker, K., Giles-Corti, B., Hatano, Y., … Blair, S. N. (2011). How Many Steps/day are Enough? For Adults. International Journal of Behavioral Nutrition and Physical Activity, 8(79), 1-13. 6. Tudor-Locke, C., Craig, C. L., Rowe, D. A., Spence, J. C., Tanaka, S., Blair, S. N., Beets, M . W., … Raustorp, A. (2011). How Many Steps/Day are Enough? for Children and Adolescents. International Journal of Behavioral Nutrition and Physical Activity, 8(78), 1-14. 7. Tudor-Locke, C., Craig, C.L., Aoyagi, Y., Bell, R. C., Croteau, K. A., De Bourdeaudhuij, I., Ewald, B., Gardner, A. W., … Blair, S. N. (2011). How many steps/day are enough? For older adults and special populations. International Journal of Behavioral Nutrition and Physical Activity, 8(80), 1-19.